Whether you believe in creating your own destiny, or you believe there’s such as thing as fate determining the course of our lives, one thing is for certain. You can’t anticipate what’s going to happen. In life we make many plans. Sometimes we get to follow through it, and sometimes we don’t. But some things we just don’t plan for. Jake and Emmy were childhood sweethearts – some would say star-crossed lovers, even. After beings friends for years, and finally professing their love for one another, they had to go their separate ways in life. They went to different universities and lived in different continents, but finally made their way back to one another. Everything seemed perfect now, but as chance – or fate – would have it, things didn’t go as they planned for themselves. One day, as Jake was massaging Emmy’s neck, he discovered something alarming that had her racing to the doctor’s. This discovery changed their lives forever, but their story is truly inspiring. Emmy Collett and Jake Coates were childhood sweethearts. They had to go their separate ways when they went to different schools, but their love for each other had brought them together again. 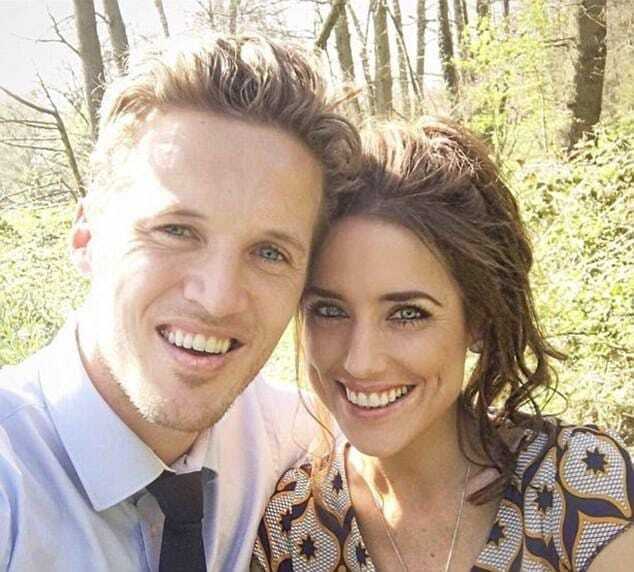 Despite living in different continents, they became a couple again and were getting ready to go on a vacation to the Philippines together – where Jake was going to propose to Emmy. But before they got a chance to go on that vacation, something happened. When Emmy was visiting Jake, on their last night together, she asked him to give her a neck massage. But as soon as he did, he discovered something that left him shocked to his core. While he was extremely alarmed by his discovery, he didn’t want to scare his girlfriend before even knowing what it was. He simply suggested that as soon as she goes back to the UK, she should get her neck checked out at the doctor’s and get a biopsy to see if something’s wrong. 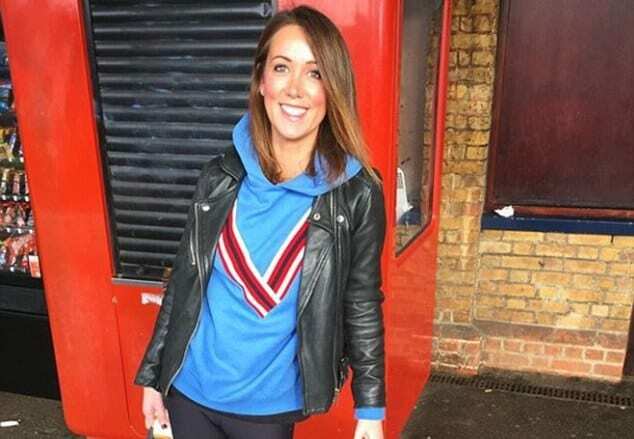 Listening to her boyfriend’s advice, Emmy went to see a doctor immediately as she returned to London. Emmy knew something was up. She’d been feeling unwell for about a year and a half prior to that neck massage. Before, she didn’t need much sleep to get by, but now she was falling asleep in her car and had no energy. She was also feeling sore and had weird muscle cramps all over her body. While she went too see several doctors about this, they all told her it was just stress, or she probably had irritable bowel syndrome. Test came back normal, so she just gave up. As she arrived in London, Emmy went to get checked out. Just as Jake thought, something was very wrong. Emmy was rushed to the emergency room to undergo a biopsy. 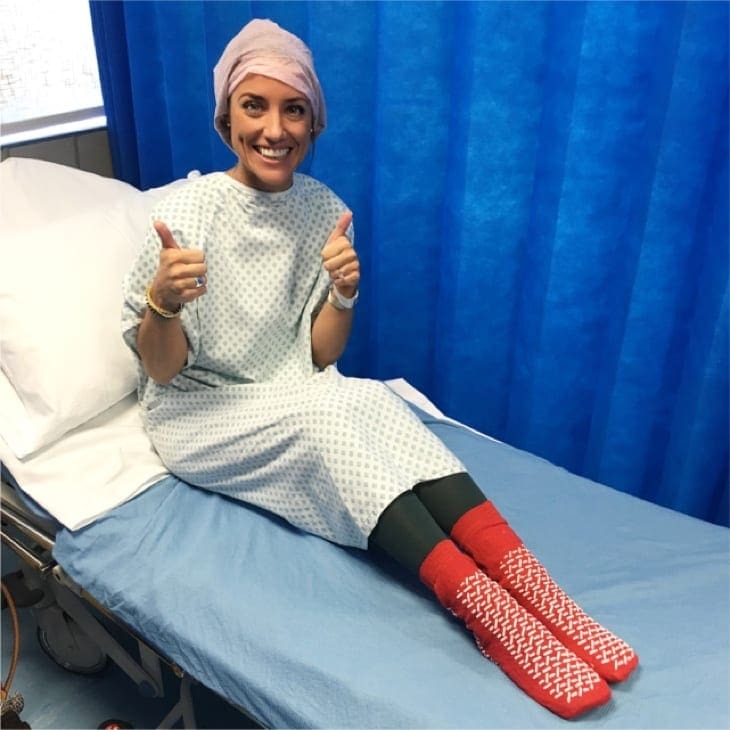 As the results came back a week later, the doctors told Emmy she was likely suffering from medullary thyroid cancer – and probably had been for about a year or two now. Though it was a shock, Emmy was also a bit relieved to hear there was finally an explanation to everything she’d been experiencing – it wasn’t just her own imagination. Emmy and Jake met years before all this happened, when they were only 11 years old. 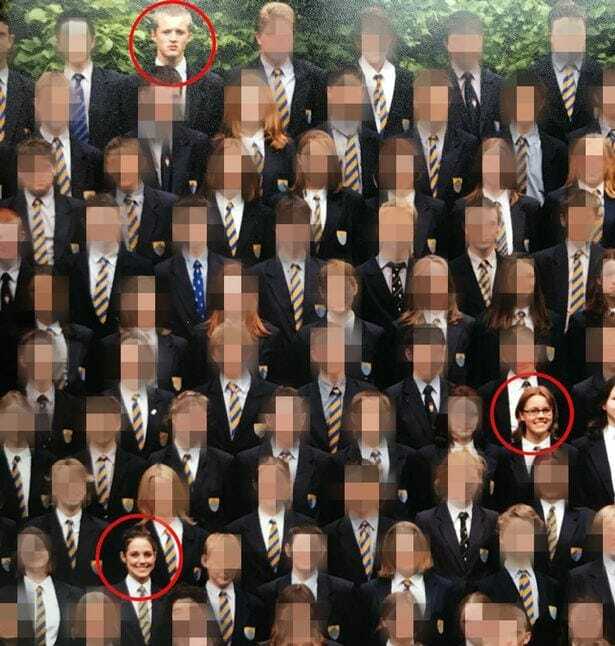 They met on their first day of primary school at Hereford Cathedral School, and became fast friends. 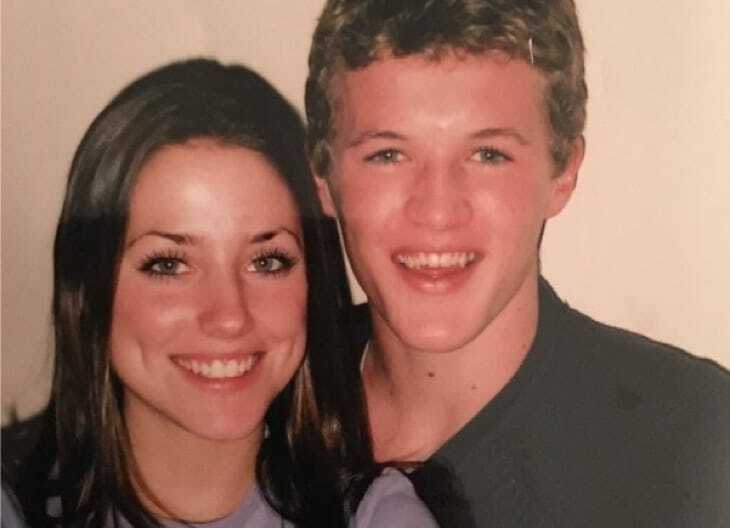 Their friendship later turned into a childhood crush, and by age 13 Jake was already calling Emmy his “lobster” (referring to a scene in the sitcom Friends, where Phoebe says lobsters mate for life). When they were 16, they finally admitted having feelings for one another, and dated for three years. However, their love story was cut short when they graduated, and had gone to different universities. After that, Jake went to work as a doctor in Australia, while Emmy stayed in London, working as a school teacher. 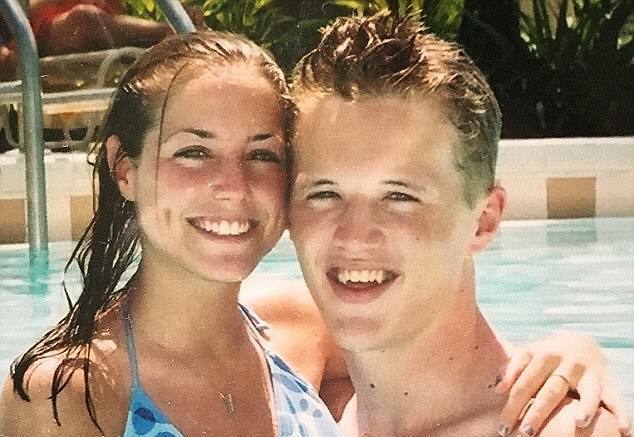 Jake and Emmy were just teenagers when they made this vow – if they weren’t married to other people by the age of 30, they would get married. 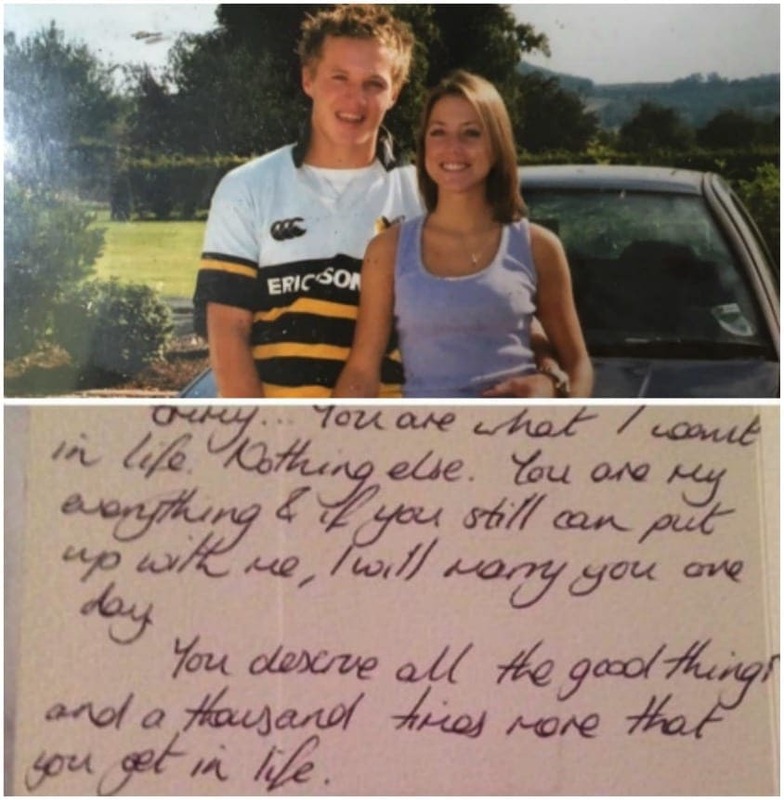 Jake wrote Emmy a note that sweetly said, “You are my everything and if you still can put up with me, I will marry you one day.” Now that Emmy had turned 30, after six years of not seeing each other, Jake reminded her of their “lobster vow”. After that, they started speaking to each other frequently, and their romance blossomed once again. Soon enough, speaking through video chat wasn’t enough for the couple, and they began visiting each other whenever they could get time off work. Despite the 10,500 miles difference between London and Sydney, they desperately wanted to see each other. By Christmas time in 2015, they decided they wanted to share their lives and put an end to the distance. They were going to go away to the Philippines in March, where Jake was going to make good on that lobster vow and propose to Emmy. Now that they knew the cause of Emmy’s pain, they weren’t sure if that dreamy vacation was going to happen. But they were going to fight this together. 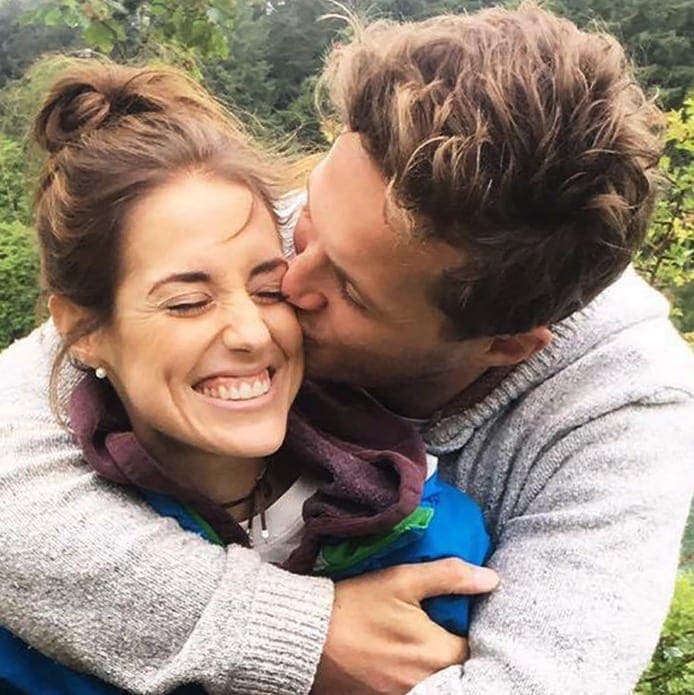 Jake moved to England to be with Emmy and support her during this time. Emmy was adamant on going on their Philippines vacation, but luck had it otherwise. As they were about to board the plane, Emmy was feeling chest pain and was advised not to fly anywhere. Their holiday was cancelled, and the fight was far from over. Emmy was rushed to the hospital again, and found those chest pains were due to a broken rib. This meant the cancer had metastasized in the bone. Scans showed lesions had grown in her lungs, liver, and bones. That’s when they learned the grave news – Emmy’s cancer was already Stage 4, and it was inoperable. If doctors had caught it in time, she might have had a chance, but now it was sadly too late. 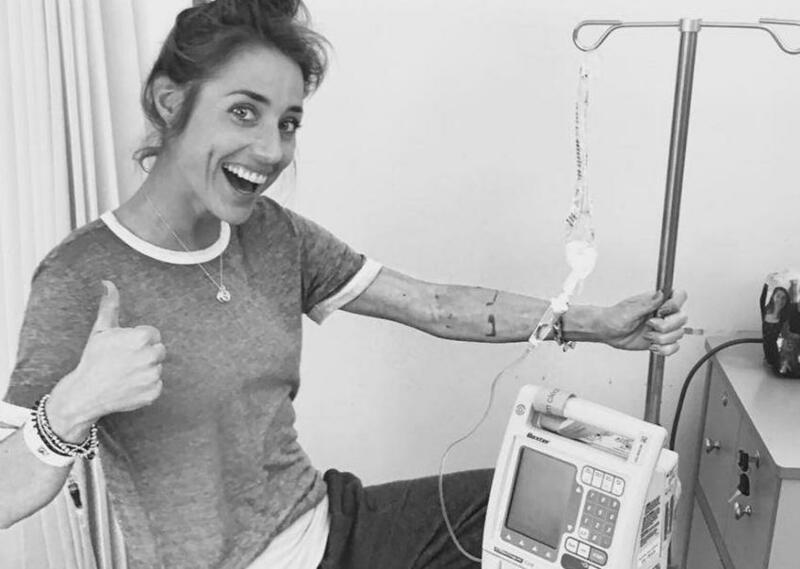 She was one of the youngest people to get it this rare kind of cancer. Despite the devastating news, Jake asked Emmy to marry him the following day. Although he envisioned himself proposing on top of a cliff, he decided to pop the question in the southwest London apartment they shared. Jake went through years and years of rigorous studying in order to become a doctor. So imagine what it felt like to be able to do nothing about Emmy’s illness. To be completely powerless in facing the desease threatening the life of the woman he loved, and waited for all these years. He was going to have to accept it eventually, but in the meantime, he was hanging on tightly and not letting go of her just yet. As part of coming to terms with Emmy’s condition, the couple made a bucket list of all the things they wanted to do while they still could. 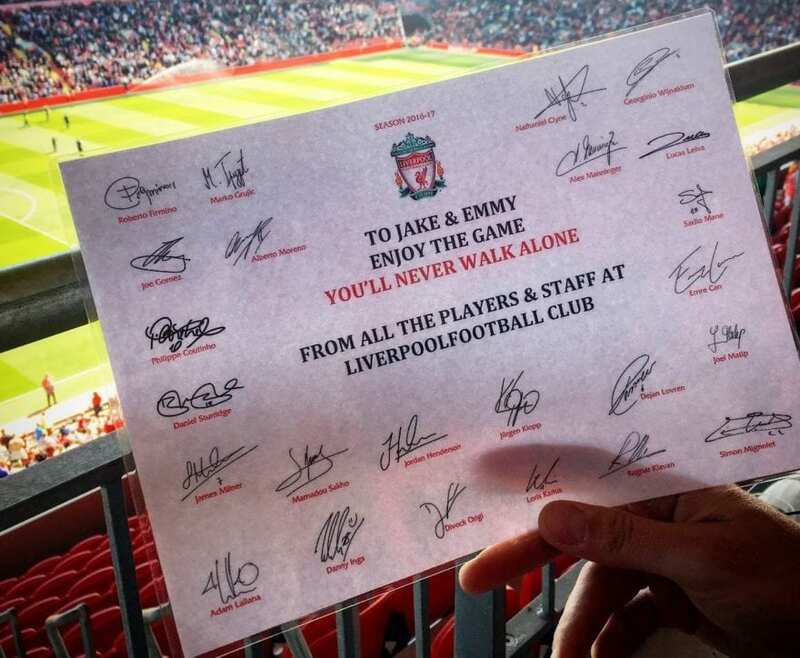 Jake really wanted to attend a Liverpool Football Club game with Emmy, and she was adamant on making that happen. She bought tickets, but had to undergo emergency surgery that same evening. Shortly after, a representative of Liverpool called and invited them to a game – where they received the full red carpet experience. Emmy’s care was transferred to the Royal Marsden Hospital, where she could receive the best possible care, but there was more bad news. Emmy’s doctor told her there was only ten percent she would live for another five years, and that was probably it. 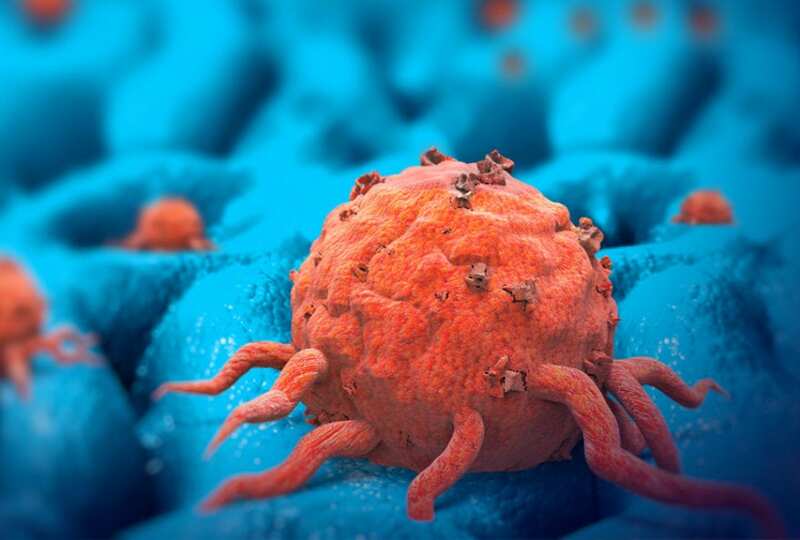 Even worse, she learned that the chemotherapy would prevent her from being able to conceive. The couple was devastated to hear the bad news, as Emmy’s dream of becoming a mother and carrying her own child was crushed. Right then, the two decided to harvest some of Emmy’s eggs and have them inseminated. Nine embryos were produced out of Emmy’s eggs and then frozen, so that the couple could use a surrogate should they choose to. Emmy had said it was something she could hold onto, to keep her positive. Meanwhile, she was feeling grateful for the great medical attention she was getting, and decided she should give back to the hospital that gave her such excellent care. 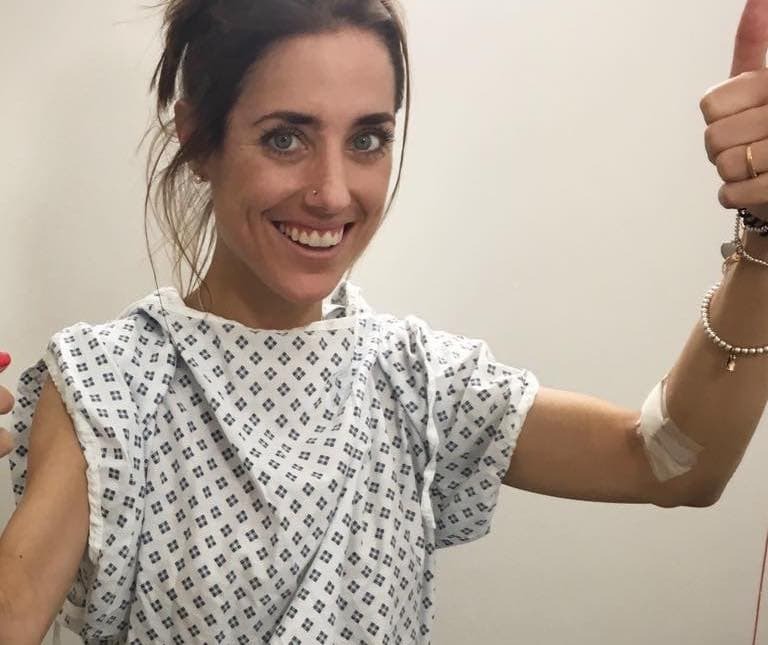 Not a month after her initial diagnosis, Emmy had come up with the perfect way to give back to the Royal Marsden – the hospital that provided her with the support she needed in this rough time. 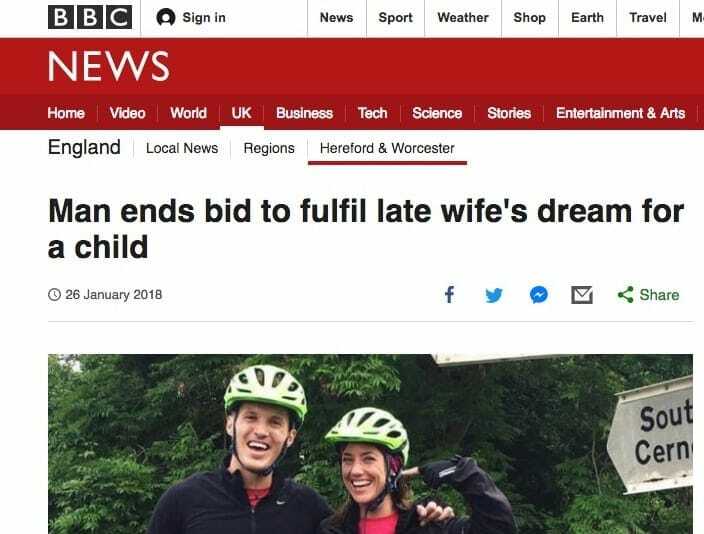 She and Jake would go on a 1,200 mile tandem bike race from London to Copenhagen, on the North Sea Cycle Route. As people would sponsor them, they could raise money for the hospital. And Emmy could go at her own pace, while Jake keeps an eye out that she’s okay. 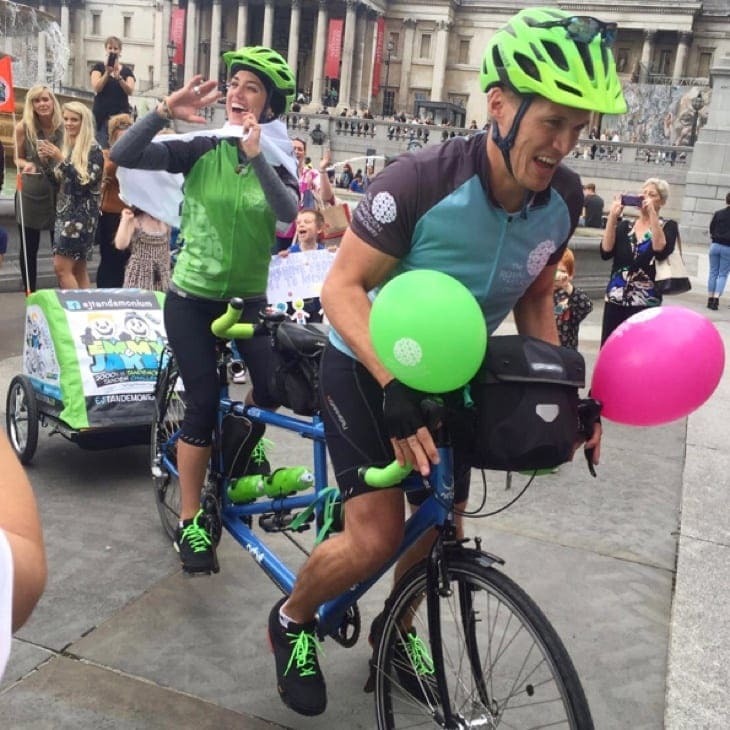 Having to complete the journey in less than a month, they were began their way on their tandem bike (which they ceremoniously named Tara). 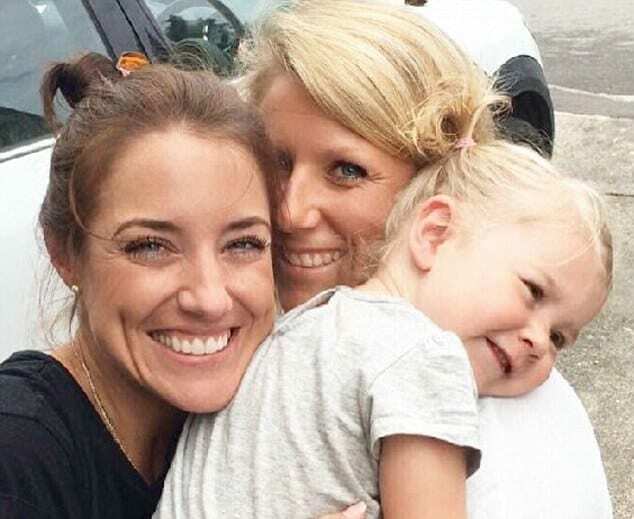 Passing through six countries, they finally arrived in Copenhagen just two days before Emmy turned 31. 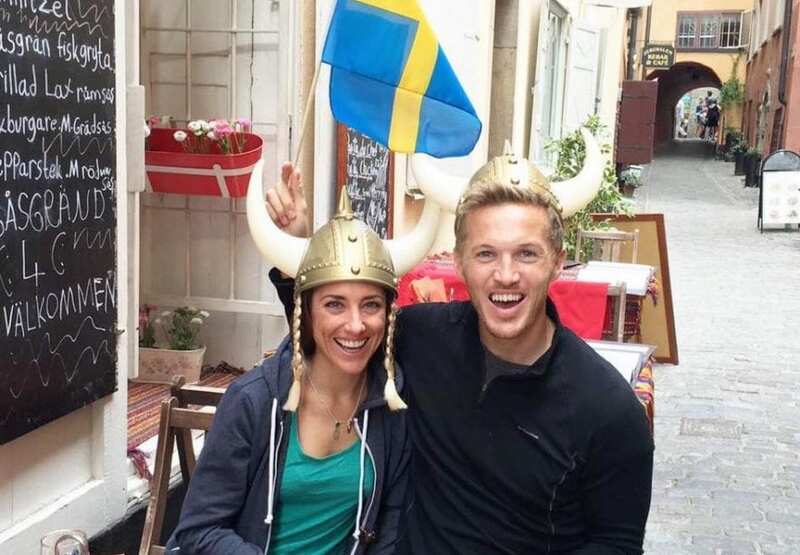 When they got back home, they decided to conquer their next goal – finally getting married. 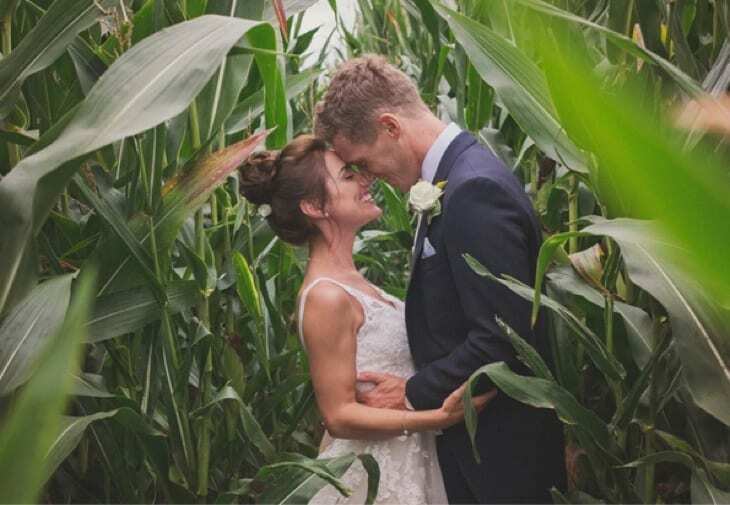 Just six months after she was diagnosed with the illness, the couple said “I do” at Emmy’s family home. Now that they were married, the two could explore the possibility of having a baby through a surrogate. But unfortunately, none of the candidates they were looking into panned out. Emmy, who had been writing children’s books, decided to also start a blog to document everything she’d been going through. 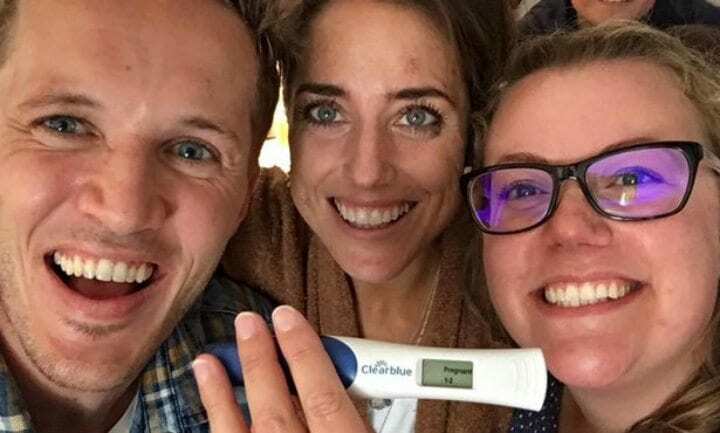 As the couple gained much public recognition, their story reached a former classmate of theirs, Liz, who reached out and offered to be their surrogate. While she didn’t know them in school, she felt she wanted to help the two. Soon, it was settled – the three would go on this journey and try to make Emmy and Jake parents. The process wasn’t easy, and it took time. But after a while, there was some good news amidst all the hardships – Liz had finally become pregnant. They made sure this was true using three different pregnancy tests, and they were ecstatic to realize this was actually happening. They now knew that there will always be part of Emmy left in this world when she’s gone. Not long after, Emmy felt that she couldn’t keep her eyes open anymore. “Emmy looked at me and said ‘I’m not going to see my baby, am I?’,” Jake remembered the terrible moment. He comforted her saying, “You never know.” But she sadly passed away in June 2017, at the age of only 31, surrounded by her loved ones. While Jake was devastated, he took solace in the fact that she passed away knowing they would bring a baby into this world together. But was this dream going to happen? Sadly, within a week of Emmy’s death, doctors said Liz was having an ectopic pregnancy. 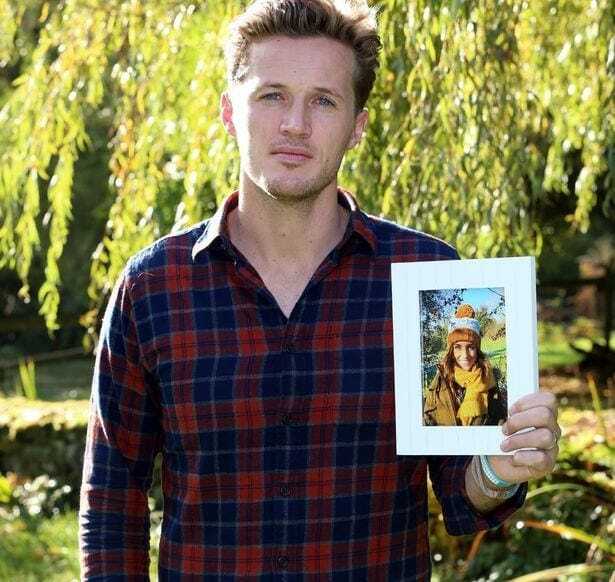 Jake hadn’t only lost his great love, but he also lost their child now. They tried again a few more times, before Jake had finally given up. Emmy had been working on her third children’s book, but she never got to finish it before she passed away. Jake was now determined to have it illustrated and published, so that her message would live on. Emmy’s motto had always been “Smile, love and be kind,” and this simple message resonated within the people who followed the couple on their social media accounts. Emmy’s legacy lives on with this positive message, that is so simple, and so true. And now a new chapter in Jake’s life was beginning. 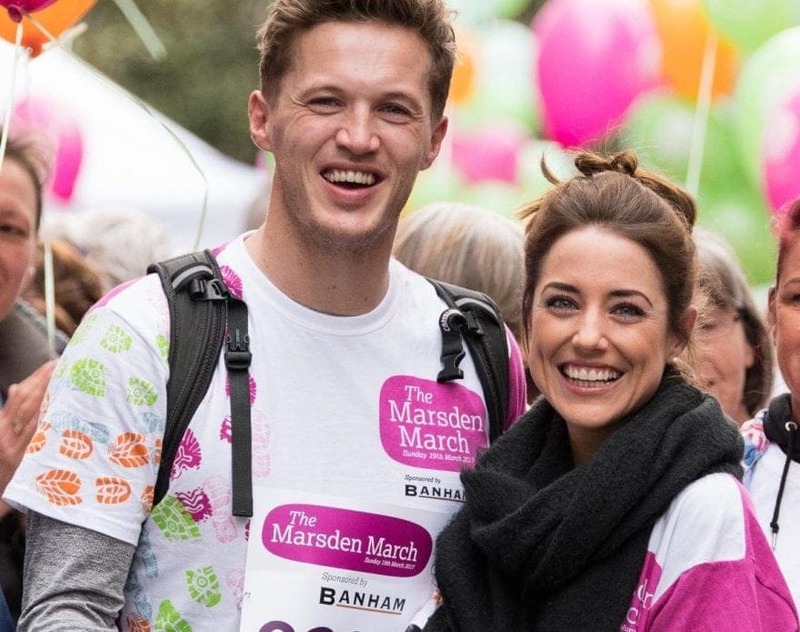 Jake and Emmy’s work at raising funds for the Royal Marsden Cancer Charity had made waves, and months after Emmy’s passing away – the couple was receiving the Pride of Britain award for it. 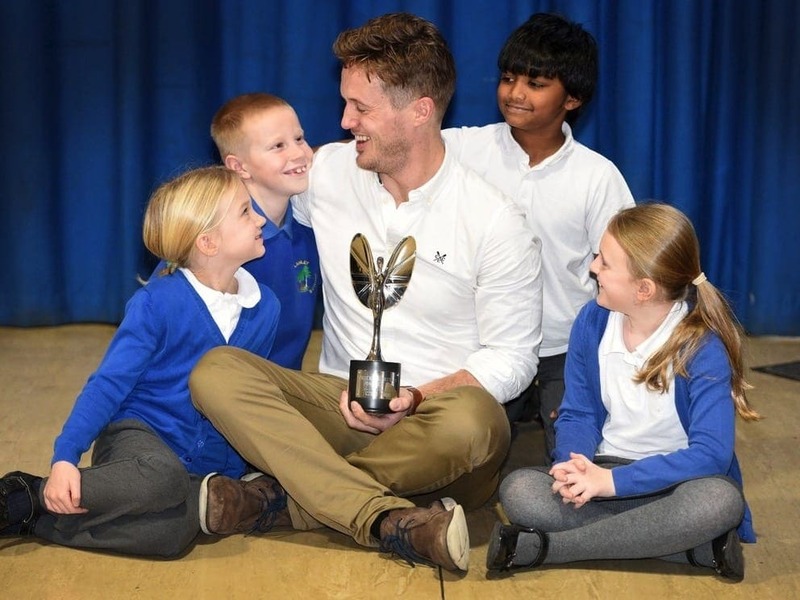 Jake had the award presented to him by Britain’s Got Talent’s Amanda Holden and the legendary Joan Collins, at an award ceremony held on November 2017 in London. Jake accepted the award not only for himself, but on behalf of his late wife who was truly responsible for it. But that wasn’t enough for Jake, who wanted to continue doing good in his late wife’s name. 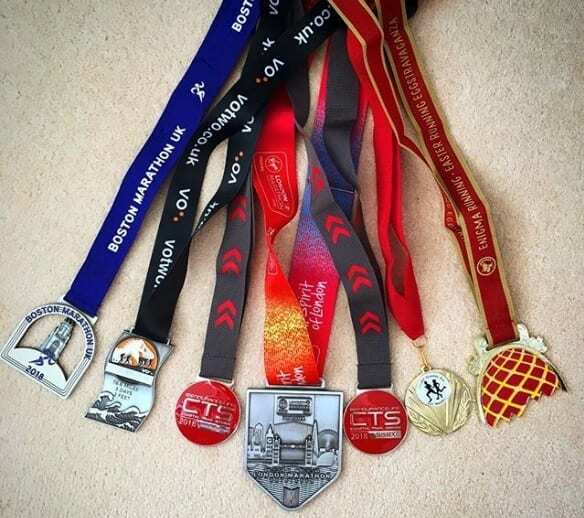 He subsequently ran nine marathons in Emmy’s memory, raising money for charities. As he showed off the medal he received for the marathons on Instagram, he gave his followers an important message. As great as it is to bring home a medal, what really mattered to him was the money donated to the cause that so close to his heart, and for that he was grateful. 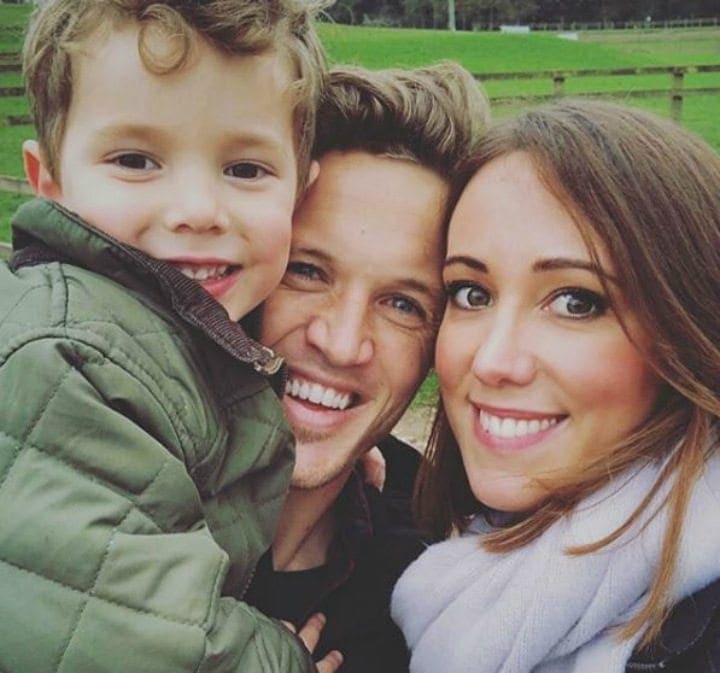 It seems that Jake has taken a step back from his life as a doctor – perhaps because of his experiences with his late wife. Jake is now working on drawing portraits, specifically of adorable dogs. He always had an artistic side to him, as he illustrated Emmy’s children’s books in the past. 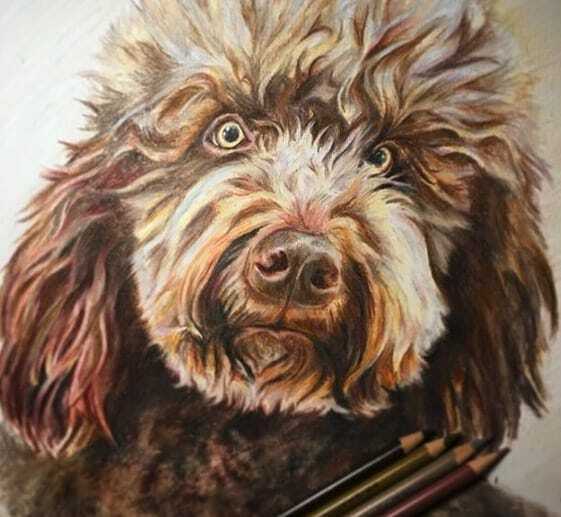 He now chose to spend his time in pursuit of these artistic talents, and what better way to do so than painting a portrait of Molly, the labradoodle the couple received as a wedding gift? 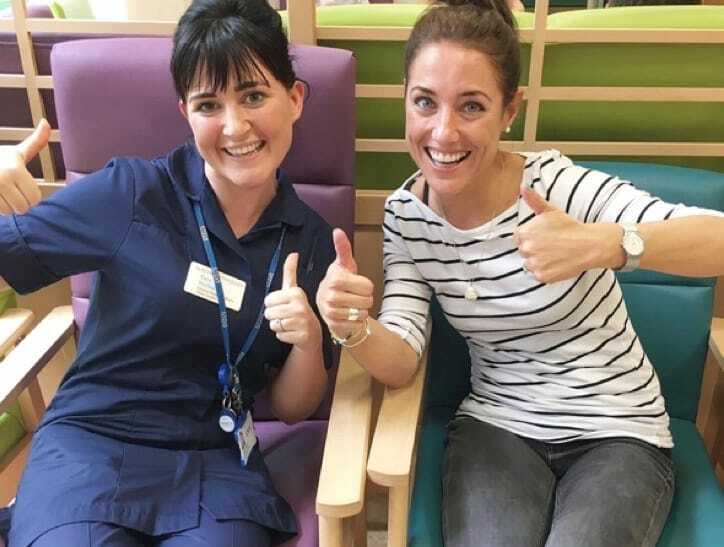 Everywhere she went, Emmy touched people’s lives, and it was apparent in the hospital she was treated in while she was ill.
Jake was informed that the Royal Marsden Hospital’s Head and Neck Unit, where Emmy was cared for, decided to name their fund after her. This meant that any donation made to this department would be made to the “Emmy Coates Fund”, named after the kind and giving woman who truly deserved this tribute. 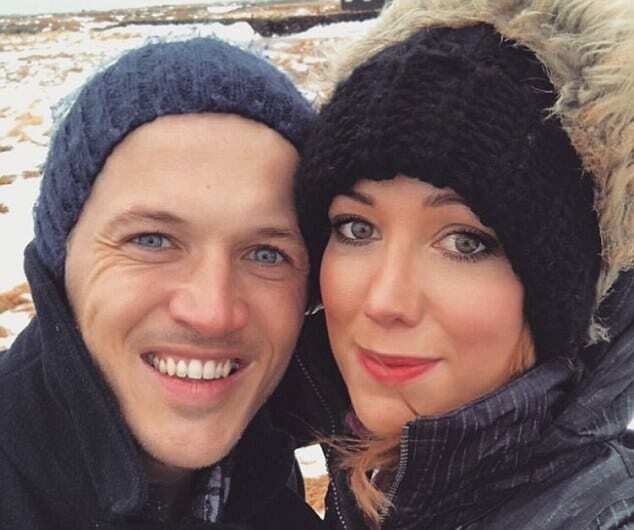 Jake and Emmy’s story was made public in the British media, even before she had passed away. They had articles published about their story on BBC, the Daily Mail, Mirror and Sun. They received a major following on social media, and the online commenters to these articles were deeply moved as well. 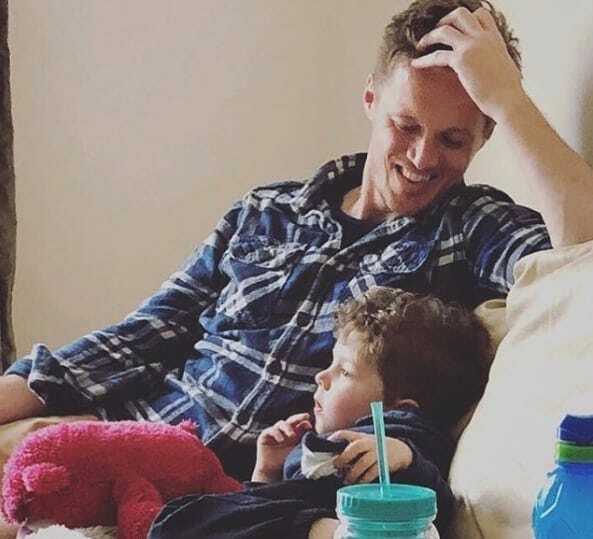 They suggested that perhaps giving up on surrogacy was the best choice, since if Jake ever moved on and found someone else as a partner, he wouldn’t have a constant reminder of what happened. This hypothetical situation became reality, eight months after Emmy’s passing away. 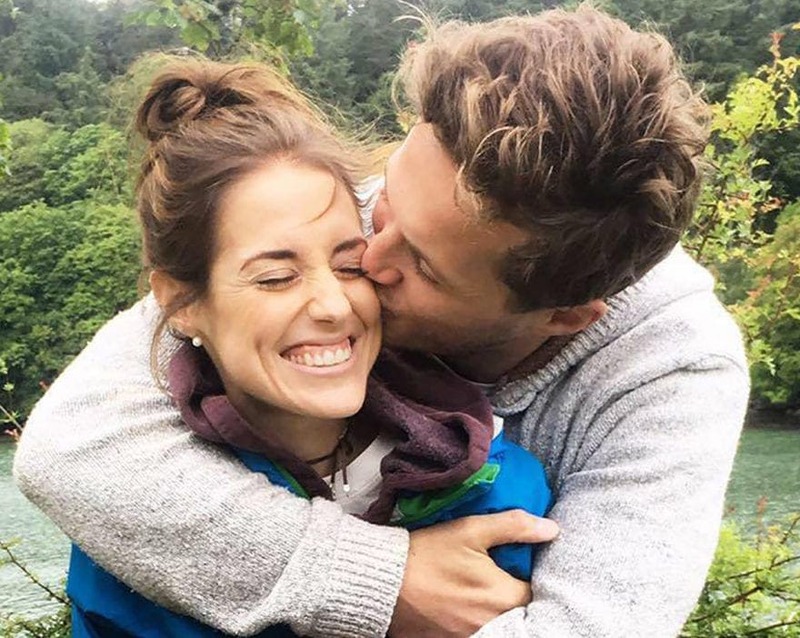 Jake revealed he was dating again – an events coordinator named Jenna Selby (who some followers thought resembles Emmy in appearance). Jenna already had one child from a previous relationship, and had done work in event planning. Beforehand, she did some marketing and communications work for big clients like the fashion house of Louis Vuitton, as well as HSBC bank. But she then spread her wings and started a business of her own. She started a creative consultancy company, specializing in organizing events of all kinds, which are tailored specifically and perfectly to the client’s requests. But Jake wasn’t only receiving love on social media, in light of his newfound relationship. 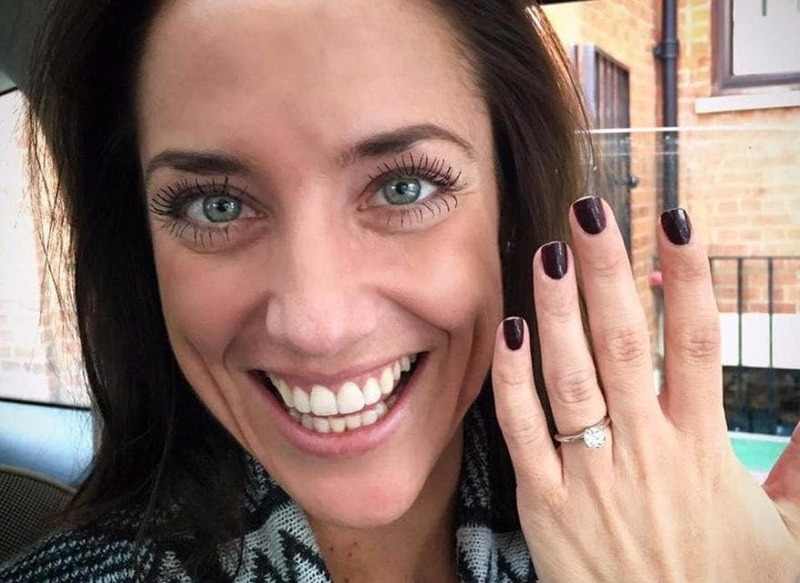 He was receiving backlash and criticism from people for his new girlfriend resembling his late wife, which they thought was an insult to her memory. “Emmy would be ashamed,” one accuser wrote. “It must be very hard for Emmy’s family, parading it on social media,” another suggested. Others felt that while he deserved to be happy, the period of time passed since Emmy’s death wasn’t long enough to move on. Emmy’s sister, Sophie, also weighed in on the matter, and apparently she agreed with the backlash. She said she couldn’t believe how insensitive he was to announce the new relationship as he did on social media, and that her sister would find it heartbreaking. Jake was receiving many positive comments as well, but he admitted to have deleting some of the bad comments from his Instagram post. He was determined to keep this kind of negativity out of his life. 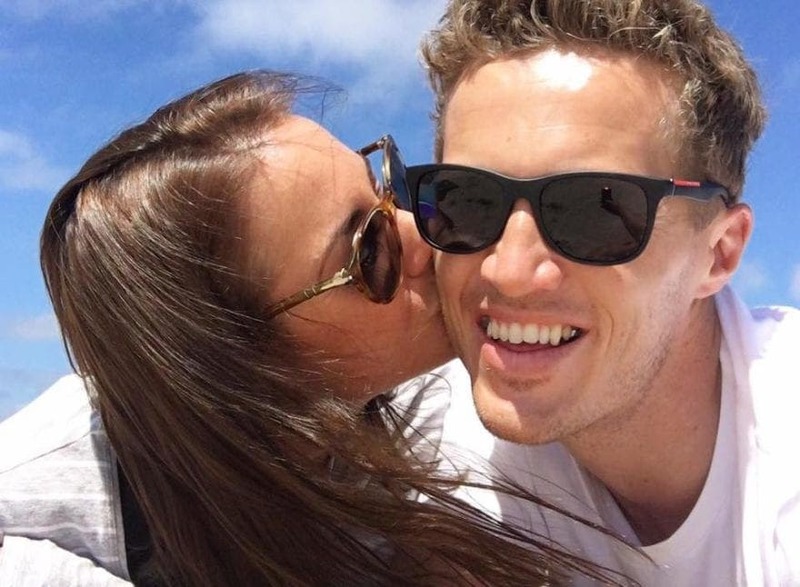 He thanked the commenters who wished him well in his new relationship with Jenna, and said, “I’m simply doing the best I can each day and doing everything I can to be happy.” We’re hoping he’ll be able to do that, and stay true to Emmy’s motto – smile, love and be kind.